I wish to begin by thanking the Government of Brazil for hosting this historic conference.Â It is a distinct pleasure to be here today in this beautiful city. We have come together in Rio for a common goal: ensuring a better future for the 7 billion people sharing this earth, and committing ourselves to a healthy, secure and prosperous world. 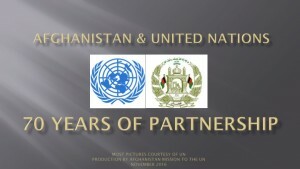 Afghanistan is convinced that through effective and result-oriented cooperation and collaboration, we can realize our shared objective for sustainable development. Two decades of strife and conflict have brought untold suffering upon the Afghan people. Poverty, hunger, dismal socio-economic and environmental degredation have regrettably become part of daily life for many.Â Roughly one third of our people live below the national poverty line. Gender gaps in both literacy and education, and meager opportunities for employment remain a challenge, and have yet to be fully addressed. Terrorism that has its roots and support systems outside our country, environmental and geographic vulnerabilities have complicated our efforts to overcome these challenges and unleash our human, resource, trade and transit potential. Despite the obstacles at hand, Afghanistan has made considerable, historic progress in improving the lives of our citizens over the past decade, better enabling them to live in safety and prosperity. Over the past ten years, with support from the international community friends, Â we have made many improvements: More than 8 million children are currently attending schools throughout the country and 50,000 students are enrolled in universities; close to 90 percent of our population has access to primary health services; and the rate of child and maternal mortality has decreased significantly. Thousands of kilometers of roads have been constructed or repaired, and extensive work has been done in the area of rural development with a special focus on local community empowerment, agriculture and irrigation. 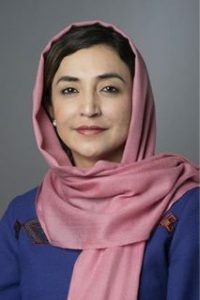 Afghan women are playing an increasingly visible and tangible role in politics, culture and the economy. Together, these advances are helping to improve human capital, trade, transit, and food security. Above all, weâ€™ve restored the foundations of democratic governance: Afghanistan today is a young democracy with an elected parliament, elected provincial councils and a free and independent media that allow our citizens a direct say in their countryâ€™s governance. To further our development goals, we are also working diligently to make use of our untapped natural resources. We consider our natural treasures to be a catalyst for enriching our country, attracting foreign investment, increasing the rate of employment, and contributing to our overall stability and prosperity. Having come so far, we are now focusing on making our progress irreversible and sustainable. We acknowledge that national ownership and international partnerships are key for sustainability of all three pillars of development. Therefore, Madam President, full transition to Afghan ownership and leadership is a top priority for my Government. Currently, we are in the process of building an Afghanistan in which the needs of the Afghan people are met by the Afghan people themselves. In this regard, we are on track to assume full responsibility for security in Afghanistan by end 2014. We will continue to work closely with the international community during the Transition Decade of 2014-2025 to address our long-term social, economic, and developmental challenges. Continued and sustained support of the international community will be particularly important in these years to come.Â Despite the aspirations for sustainable growth and development, the task will be impossible for Afghanistan without sufficient means of implementation. In this regard, and as a Least Developed Country (LDC), we strongly support the implementation of the Istanbul Programme of Action of LDCs 2011-2020 and emphasize the fulfillment of past pledges of Official Development Assistance (ODA) and an increase in the level of financial support. We have come together at this historic conference to cooperate on a global level. However, the success of Rio+20 depends on the extent to which the agreements we make here are concrete and will help improve the lives of people around the world.Â In this context we support global efforts to come closer together, to share experiences, technology and resources. And from the Afghan perspective, we need these concrete agreements so that we can integrate them into our national sustainable development planning during our transformation decade between 2014 and 2025. As a land-locked developing country, we support the Almaty Programme of Action and an increased level of regional cooperation. Through various processes, including the promising Istanbul Process for building confidence and strengthening cooperation in the Heart of Asia region whose second successful ministerial meeting we hosted in Kabul just last week, we are working to restore Afghanistanâ€™s historic role as a land-bridge connecting South Asia, Central Asia and Eurasia and the Middle East.Â Invoking our historical roots as a crossroads of trade routes, we hope to be at the center of regional connectivity. Opening these paths will not only help Afghans but improve the lives of people around the region. It is in this context that we see the importance of South-South cooperation, which will also complement North-South cooperation. Therefore, we support an acceleration of this process. The building of infrastructure and capacity is of the utmost importance to achieving sustainable development. Only by building up our human and physical capital can we combat endemic unemployment and poverty. The sharing of knowledge and experience is critical to our success. This is what we have come to realize over the past ten years. Now, during our transformation decade, it is important that the sharing of technology and experience helps to create a sustainable Afghanistan. We are pleased to see the progress that has been made on this front here at Rio and we hope to see the implementation of these transfers soon. It is my fervent hope that Rio+20 will prove to be a historic success in launching the entire worldâ€”including the least developed countriesâ€”into a future of sustainable development. I wish to reiterate my Governmentâ€™s resolute commitment to helping advance cooperation for sustainable development at the international level.